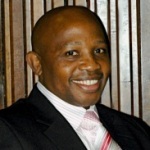 Dr Makhafola is currently the General Manager: Research & Development at Mintek. He worked as Lecturer in Analytical Chemistry at Technikon Northern Gauteng (now called Tshwane University of Technology) and University of Venda. In 2004 was appointed Director: Quality Assurance at Border Technikon (now called Walter Sisulu University). Dr Makhafola was the Director: Quality Assurance at the University of Venda until he joined University of Kwa-Zulu Natal as the Director Quality Promotion & Assurance in July 2010, part of his responsibility was to lead the World University Rankings project. Dr Makhafola served as member of Umalusi Council and also as Chairperson of Lovedale FET College Audit Committee. He is currently the Chairperson of DST/MINTEK Nanotechnology Innovation Centre Steering Committee. He served as a member of the Higher Education Quality Assurance Manager’s Forum and also chaired and facilitated various workshops on quality assurance in higher education. He is also serving as an academic committee member of QS World Ranking Universities. Dr Makhafola did the post-doctoral training in Analytical Chemistry at Indiana University. He presented his research work in more than 19 international conferences and published in credible journals.